Confirmation numbers, grocery lists, addresses, and phone numbers are all things we need to quickly jot down on our phones, but the thing is, they're never extremely easy to access later. You have to figure out which app you wrote them in, meaning lots of needless searching and scrolling. Even if you use a dedicated note-taking app, those extra steps of actually opening the app to find a UPS tracking number can be an unnecessary pain. 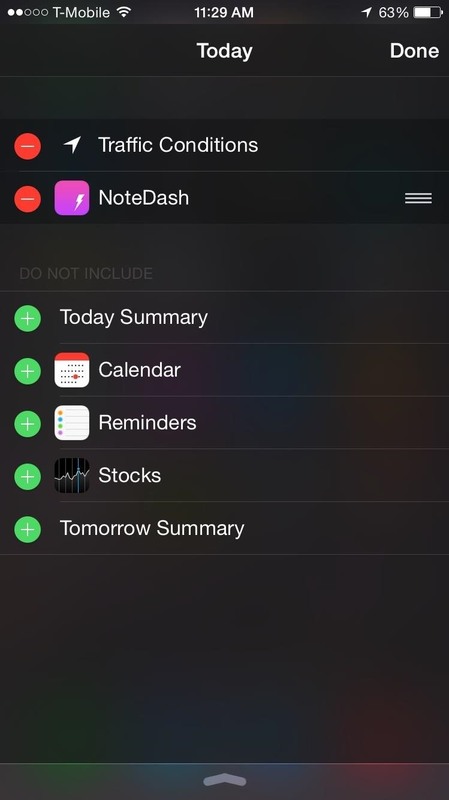 NoteDash, from Alupark, allows you to write down your most important notes and view them quickly from the most convenient place possible on your iPhone—the Notification Center. Download NoteDash for free from the iOS App Store. Once it's installed on your device, head over to the Notification Center, tap on "Edit," then add the NoteDash widget. 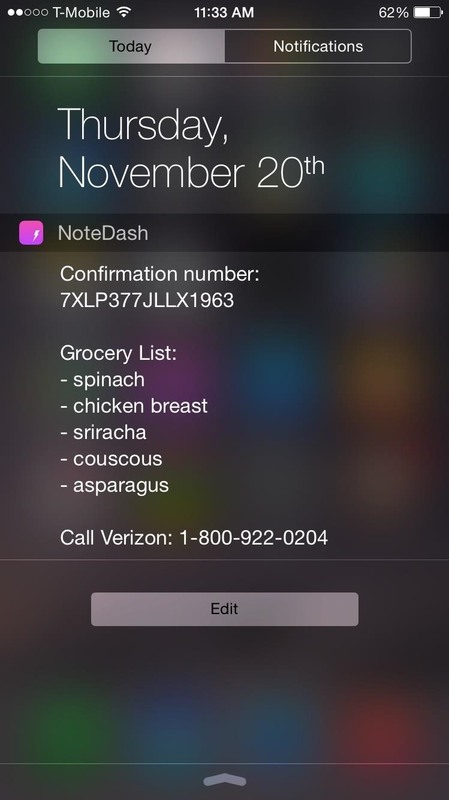 Once NoteDash is in your Notification Center, tap on it to add a note. You'll be redirected to the main NoteDash app where you'll do the actual composing. 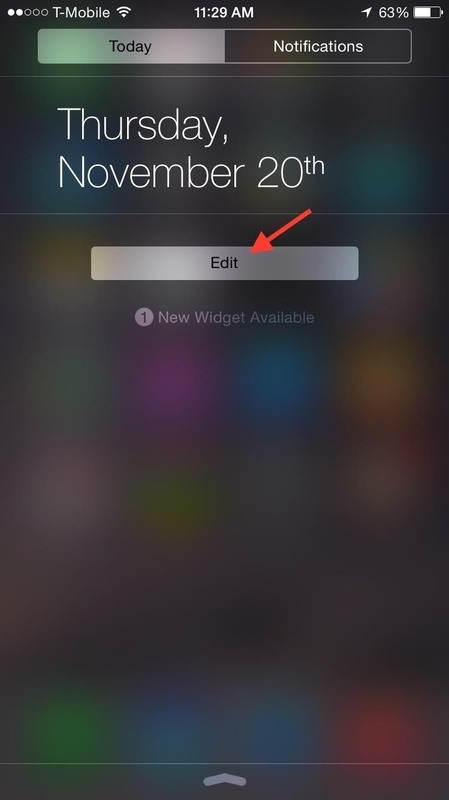 Once you're done with your note, exit the app, then swipe down the Notification Center to easily view it. 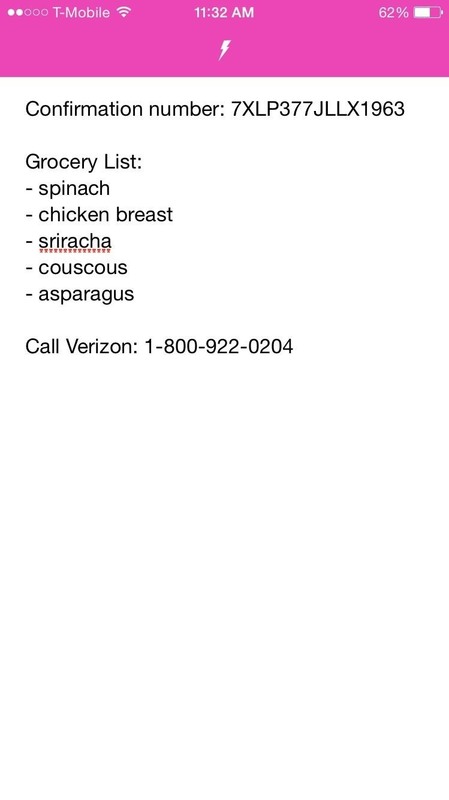 Since this app functions as a sort of Post-it note for your Notification Center, there's only one sheet available. Whenever you want to change the note, either entirely or just to add or subtract something from it, just tap on the widget in the Notification Center or go directly to the NoteDash app to make your changes. As someone who's quite forgetful and always writes things down as reminders, NoteDash is quite useful for quickly accessing important information on the fly. Jut keep in mind that if you're trying to edit your notes from the lock screen, you will need to enter your Touch ID, PIN, or password to access the app.